Hayden, Idaho is a city with unique opportunities for recreation and offers some of the most beautiful mountainous lakeside scenery imaginable. With such exquisite nature as a backdrop, Hayden is a city that offers not only wonderful living but true beauty in all aspects of life. ACI Northwest is proud to be a Hayden, ID air conditioning, heating, and electrical services company offering a wide array of residential services including indoor air quality, water heater, and an assortment of commercial services for HVAC systems and energy management systems. Our certified Hayden, ID heating and air conditioning specialists have the knowledge necessary to perform any task within each of these fields such as new installations, professional replacements, system repairs, and product maintenance. Learn more about ACI Northwest and the selection of services that we provide in Hayden, ID and surrounding areas. ACI Northwest is a proud Hayden, ID heating company, offering an assortment of heating system services that includes heater repair and maintenance plans, as well as heating installation and replacement services. Our Hayden, ID heating technicians specialize in heating methods such as forced air heating systems, heat pumps, furnaces, boilers, air handlers and ductless mini split heating units. Contact our technicians today to learn more about our heating services in Hayden, ID. ACI Northwest supplies quality air conditioning system services in Hayden, ID including air conditioning repair and maintenance plans, as well as air conditioning system installation and replacement. 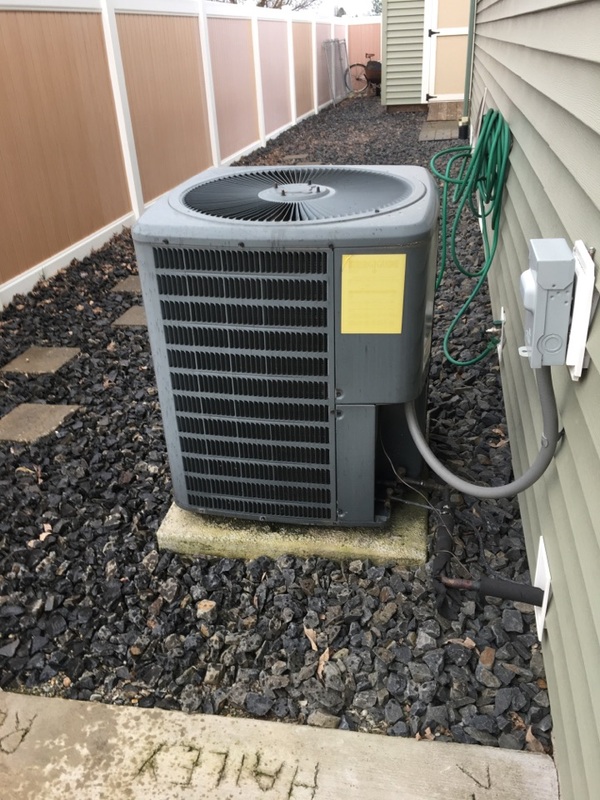 The expertise of our Hayden, ID air conditioning technicians covers central air conditioners and forced air conditioning systems, as well as ductless mini split systems. When you experience trouble with your electrical system and require some extra help, our Hayden, ID electricians are ready to take on any electric needs including electrical repair and maintenance, as well as electrical system installation and replacement services. Our familiarity with electrical systems spans across smoke detectors, attic fans, surge protectors, indoor and outdoor lighting, anything related to circuits, outlets, and switches, circuit breaker panels, and fuse box upgrades, as well as whole house generators. Call the Hayden, ID electricians at ACI Northwest today to learn more about our services. ACI Northwest is a Hayden, ID commercial HVAC company that offers a wide range of commercial HVAC services including commercial heating and air conditioning repair and maintenance plans, as well as commercial heating and air conditioning installation and replacement. We work with rooftop units, packaged air conditioner units, forced air systems, commercial boilers, and chillers, as well as energy management systems which provide sophisticated HVAC system and lighting system monitoring. Contact us today and receive the quality commercial services that your business needs. Indoor air quality is one of our main focuses at ACI Northwest, and we offer an array of indoor air quality products that include air purifiers, air cleaners, air filtration systems, humidifiers, UV germicidal lights, and energy recovery ventilators. We can help you through the process of deciding which combination of indoor air quality products will work for your specific needs. When water heating service is needed ACI Northwest is available, providing hot water heater repairs and maintenance plans, as well as water heater installations and replacements. We service all types of water heaters, whatever their specific functions or fuel sources. Casey always delivers good service. Bobby came to our home to check on our fireplace. He discovered it was malfunctioning immediately. He was professional and very helpful. Dean was very professional and helpful! Amazing service! Ryan was great. He was very professional and knew what he was doing. He explained everything as he did the maintenance on the furnace and garage heater. We definitely would request him again if needed. Ryan was on time and did a great job checking my heating system and preparing it for winter. Ryan was on time, knowledgable and friendly. He gave me some good advice and ensured that the air conditioning system was in tip top shape. Thank you ACI for the quick response and for hiring people like Ryan to do a quality job. Casey was able to diagnose our a/c problem quickly and was very competent in his understanding of the issue. He was honest and fair about his assessment and was able to communicate well with us about the service he gave. Casey did a great job on our AC maintenace. He is very helpful and explains any concerns he has. He is neat and always cleans up after he finishes. Great company. Employees are very knowledgeable and efficient at their job. The service personnel were excellent and very knowledgeable. They were on time and did a great job on the repair of my furnace. Great work. Friendly and knowledgabke. Excellent service, friendly & knowledgable! Kelvinator gas furnace repair and maintenance. Air scrubber maintenance and bulb replacement.